First, a step back. 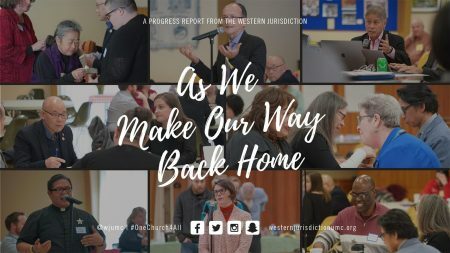 Before the Western Jurisdiction conference the week of March 10th, this blog ran a survey of non-Westerners. We had 328 responses, of which 279 were from outside the West (and weren’t jerks filling it out telling us we needed to “comply” with the UMC or “burn in hell” which I think is not in the Western Jurisdiction at all!). While the content was shared internally and anonymously to the leadership, as far as reporting, here’s the best I can do (responses do not equal one another because not every respondent filled in every question). In short, there is a tremendous amount of enthusiasm and support for the Western Jurisdiction to step forward in leadership, to step out of the safe haven it has made, and to gather other churches in risky ministry areas in a new way. So many places need support, but need to be rooted where they are. How can both happen? So how did the Western Jurisdiction respond? First, a statement by the Western Jurisidiction Leadership Team (full disclosure: I was part of this voting group that unaninimously affirmed it) that we will not comply with the Traditional Plan changes to the Discipline. Further, the Western Jurisdiction is actively studying how to start a new thing, either inside or outside of United Methodism. Second, a statement by the Mission Cabinet, which is mostly the Bishops and head conference leadership of the Western Jurisdiction. They give more details than the first section, affirming that they will support (not prosecute) pastors who are LGBTQ or that officiate same-gender weddings, and that they also are exploring all the options going forward. Click here for more. And you can view the initial video response here. 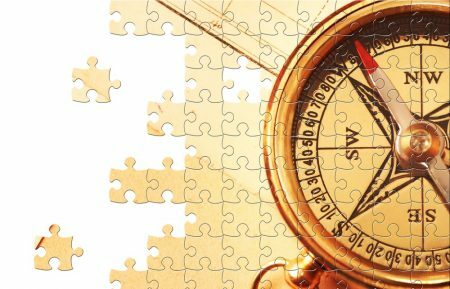 Is the Western Jurisdiction responding to the survey of needs? It’s too early to know. Certainly there will be provisions and support for folks who are looking to leave their regions and move to the Western Jurisdiction. But that is not all that is needed: as Martin Luther King Jr. stated, “injustice anywhere threatens justice everywhere.” How do we support folks who serve in rural Oklahoma or Florida or even downtown Houston? While there are serious barriers to official relationships or changes of affiliation in the Discipline, the overwhelming response from the West is: We hear you. We need you. We want to support you. We don’t know how at this time, but together we will confront the hard questions and find answers together. If you are a church in the Western Jurisdiction, form a partnership with a Reconciling or affirming church in the South or Bible Belt. Share resources. Send books to them, receive things from them. Make the offer even if you don’t know them. Don’t be passive, be an active promoter of peace and justice! If you are a ministry outside the Western Jurisdiction, talk to your Regional Organizer in Reconciling Ministries or your annual conference progressives to see who can be of the best help at this time. Sign the open letters in your conference. Write letters to the editor of your regional news, and put up big banners on your church. Be a living embodiment of the hashtag #NotAllMethodistsHateGays. So who is the schismatic now? Looks like we are in for a split. Those of us holding the orthodox UMC position that only the GC speaks for the UMC love y’all enough to let you go. Also, in response to your comment that: “burn in hell” which I think is not in the Western Jurisdiction at all!” I believe you are correct. Y’all out there are mostly Universalist. In fact I’d be surprised if you could find 1 in 10 who was not a Universalist amongst ya.